Did you know that most people generally don’t think about dental issues related to their overall health. Healthy teeth and healthy gums are important for good oral health and most of us are aware of this. We have been educated and we have instructed our children about why they should brush their teeth after eating and flossing to help prevent cavities, gum disease and bad breath. But, do you know poor oral health can also dramatically affect your overall health? 1. Are people with bad teeth and gums more likely to develop heart disease? 2. Can bad breath be a sign of diabetes? 3. Do women with osteoporosis have problems with their teeth? 4. If a woman has gum disease before and during pregnancy, could it affect the baby? 5. By improving your dental hygiene, can you limit the amount of bacteria that moves into your blood stream? If you answered yes to the above questions you would be correct except for question number 2. Diabetes does not cause bad breath. It can cause “acetone breath,” breath that has been described as sweet smelling. Diabetes restricts the body’s ability to fight bacterial infection and will lead to gum disease. 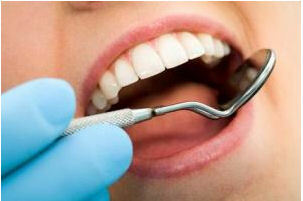 Scientists are studying the differences between dental health and other health related problems. It has been determined that bacteria or plaque will destroy tooth enamel and cause tooth decay and can lead to gum disease. If both are not treated, loss of teeth will occur and the bone that support the teeth will be destroyed. If you determine you might be suffering from any of the above mentioned issues or have signs of periodontal disease, seek the help from a dentists like Dr. Jorge E. Larrondo who serves Hemet, and all of the surrounding area. Dr. Larrondo office is conveniently located at 160 S. Santa Fe. in Hemet. Feel free to contact our office to schedule an appointment to discuss any of the issues mentioned in this blog posting. Please call 951-925-6596 and we will be happy to answer your questions.